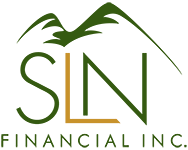 June 7, 2017 - Tips to Keep Your Finances in Order When Divorcing Later in Life | SLN Financial, Inc.
Divorcing later in life is becoming more normal for people who are 50 years or older. In fact, since the 1990s, this “silver divorce” rate has more than doubled. In 2015, for every 1,000 married people 50 and over, 10 divorced — an increase from 5 people in 1990. And when you account for people 65 years and older, that amount has tripled in the same timeframe.1 As a result, the need for proper financial strategies during this evolving stage is becoming more important than ever. As you navigate your finances during a silver divorce, here are three key items to address. Divorce can directly affect household income, as each person can no longer rely on their spouse’s income to support them. In fact, when divorces or separations happen to people 50 and over, men’s income drops by 23% while women’s income can drop by 41%.2 The result often forces many women between the age of 50 and 74 to continue working full time, rather than retiring3. As such, making sure you can financially support yourself without your spouse is an essential priority. Overall, your unique financial needs and retirement goals will further define the financial strategies you should address when divorcing later in life. If you have any questions about the options available to you — or how a divorce could impact you financially — we’re happy to talk. Please contact us today.